Publishing in the digital age - great writing, great reading, great craic. 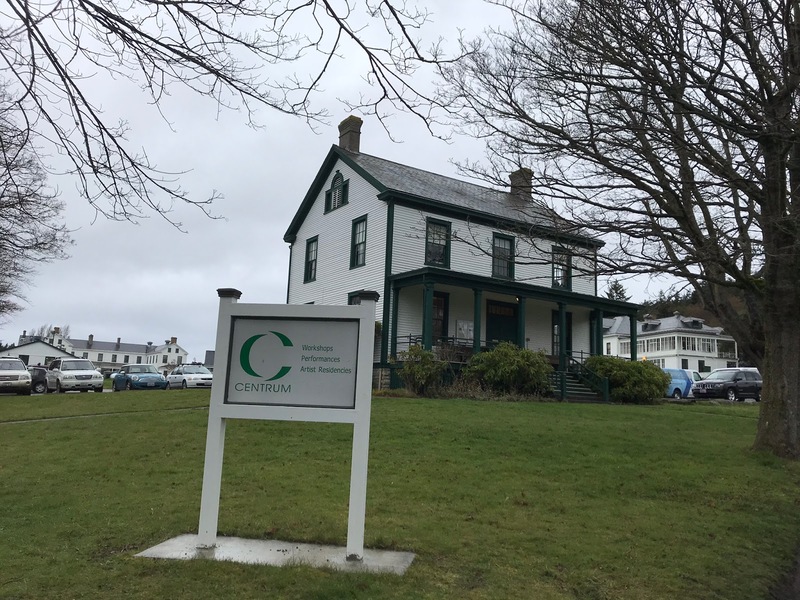 I first came to a Centrum Writers Residency in 2003 – yes, 15 years ago! – and left with the first draft of my debut novel. 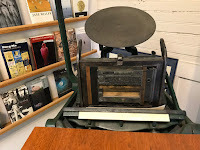 This year, partially supported by a grant from the Illinois Arts Council, a state agency, I am back to work on my third novel, a sequel to Ode To Broken Things. Third novel, third Centrum residency...I know this will be a good one! Centrum sounds like a medical prescription, doesn’t it? Writers look at me quizzically when I mention the name; this is not ranked with the more famous American literary residencies, but the paucity of literary rock stars makes this a gem of a place to write in complete solitude. I am here for only 10 days this time, and I feel the time passing too quickly. In 2003, Centrum gave me the gift of six weeks of uninterrupted writing, which prompted me to give up a well-paid academic job in Singapore to pursue my literary dreams. I’ll always be grateful to the Centrum Foundation for that validation of my unpublished work. 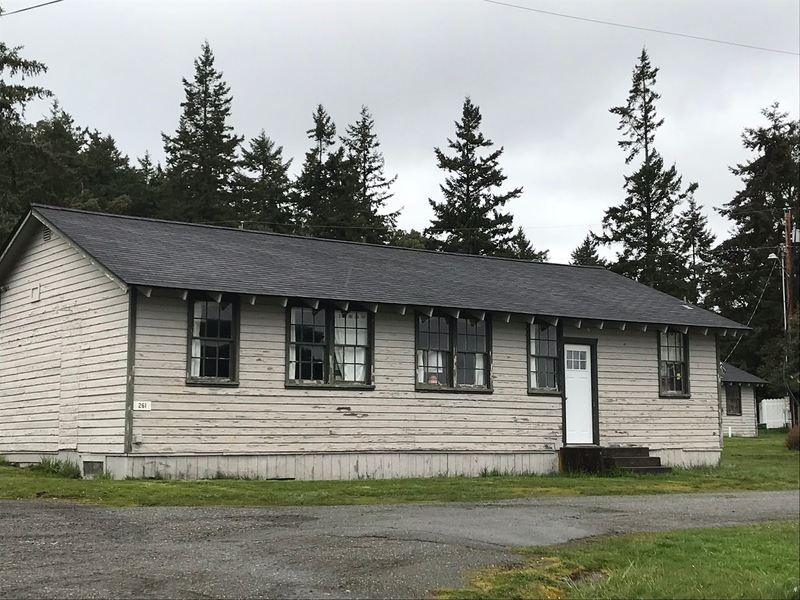 This residency is in a stunning location, at the center at Fort Worden Historical State Park in Washington State. 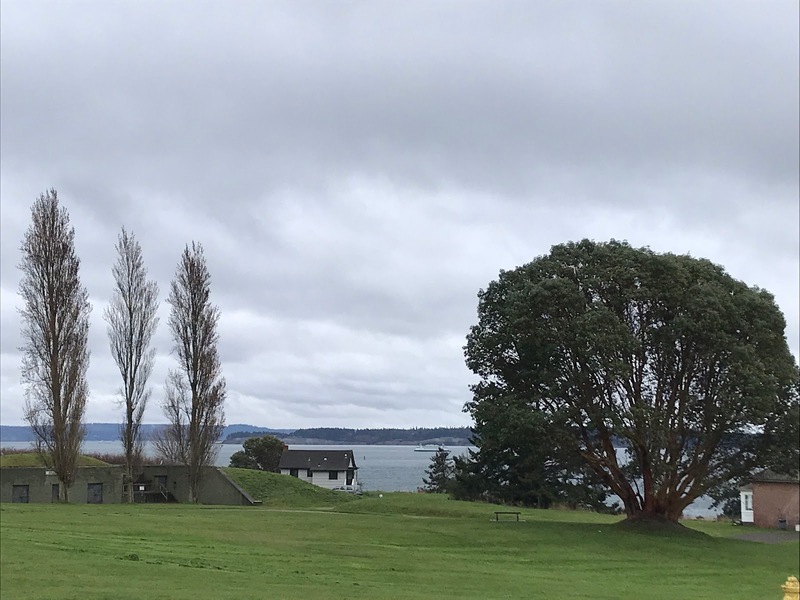 Constructed between 1898 and 1917, Fort Worden features a historical military fort nestled within more than two miles of beachfront. 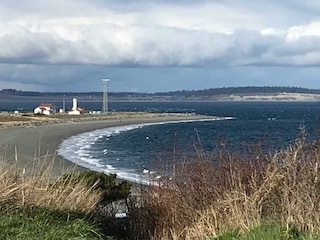 The high bluffs, where military cannons once stood, overlook the Strait of Juan de Fuca. This is a locale so picturesque that An Officer and A Gentleman was filmed here, as well as the horror classic The Ring. 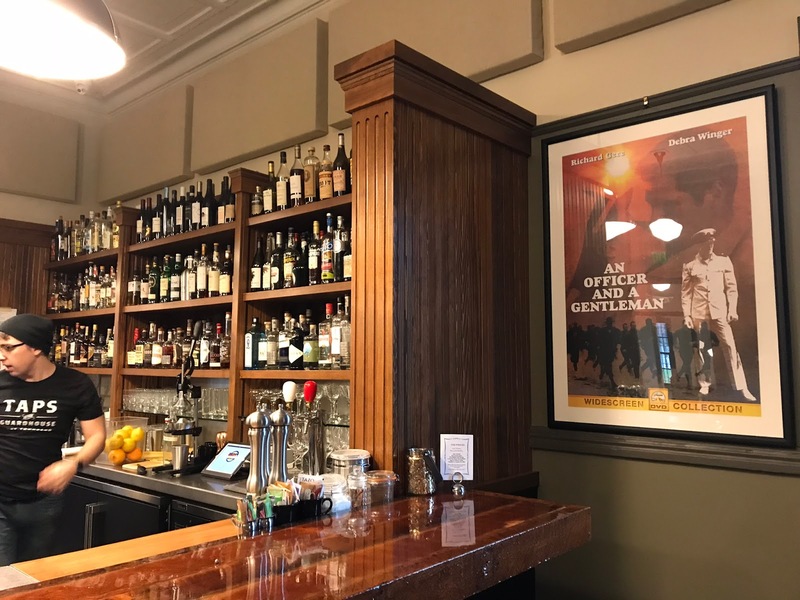 Taps at the Guardhouse is now a cozy bar converted from a military jailhouse. 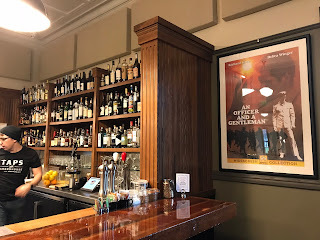 Part of the room retains the jailhouse bars and it is delicious that a place that once detained uniformed men who drank too much now welcomes drinkers of all stripes. A large poster of Richard Gere romancing Deborah Winger graces the wall. Cameron is my barman; when he hears that I am a resident writer at Centrum and am writing a novel on Malaysia, he tells me about his college in Thailand and his travels through Southeast Asia. We talk about tropical Penang, the artistic alleys of Georgetown, the heat of the authentic Indian cuisine at nasi kandar stalls...while the misty rains of the Olympic Peninsula patter outside. When I take the bus downtown, the driver tells me he is writing a memoir based on sailing around the world with his father for 35 weeks in the 70’s. Everyone has a story here. This is a coastal town with a hippie vibe that seems a throwback to an earlier time. Port Townsend’s most famous (and controversial) couple live and dress as if the Victorian age has not ended. In 2003, Fort Worden was a very different place. There were the old barracks, the Centrum Foundation, and the fabulous Copper Canyon Press. Now this area has mushroomed to colleges and academic buildings, two restaurants, and even a lively yoga and dance center. What hasn’t changed is the wonderful silence and solitude, the walks to the lighthouse at the edge of the bay with the incessant waves crashing on the shore. Dipika Mukherjee has a home in Chicago but trawls the world for fabulous stories and smelly food (the durian is a favourite). You can read about her work here. Centrum sounds and looks sublime. Congratulations on your third residency there and best of luck with the work. I most enjoyed reading Ode to Broken Things in the paperback edition last year and I look forward to any new editions of sequels you might release in the future! Thanks Umberto, especially for your kind comments about "Ode To Broken Things"! All views expressed on this blog are the opinions of their individual authors, and not necessarily of the group as a whole. This site is a participant in the Amazon EU Associates Programme, an affiliate advertising programme designed to provide means for sites to earn advertising fees by linking to amazon.co.uk. Any views expressed by any individual writer publishing on this blog are not necessarily shared by any other contributor. All posts copyright individual authors. Simple theme. Theme images by mattjeacock. Powered by Blogger.